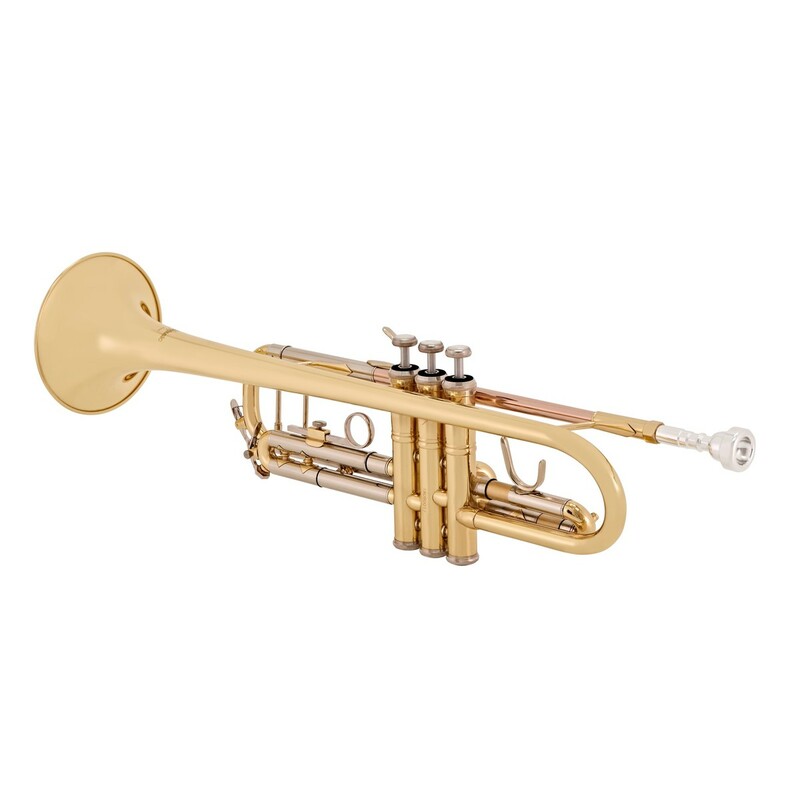 The Deluxe Bb Trumpet by Gear4music is an ideal starter instrument that has a few extra touches that produce a quality playing experience for students as they progress. 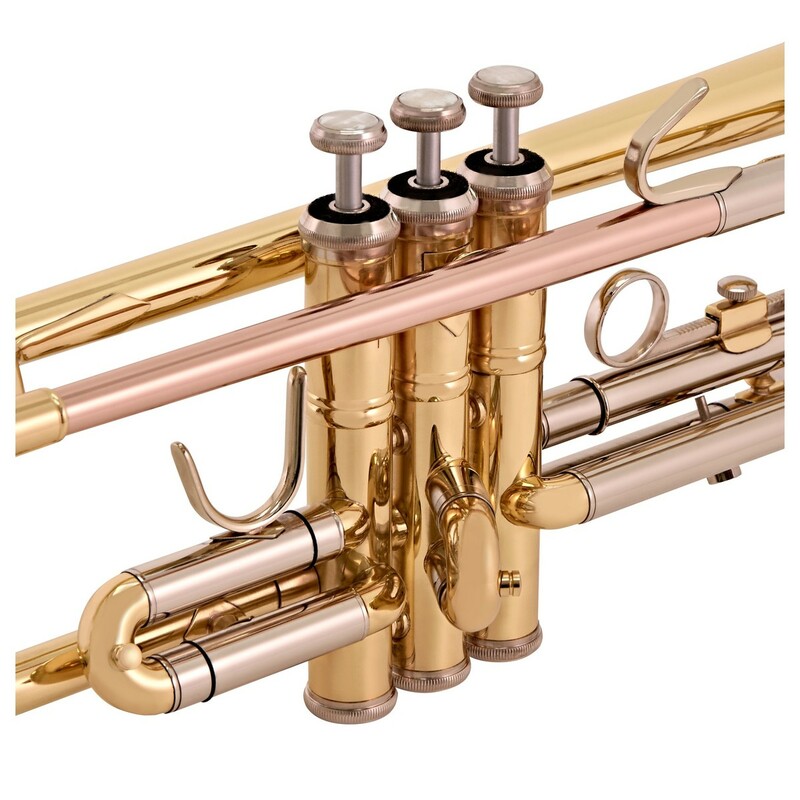 A lacquered yellow brass body and medium bore Phosphor Brass leadpipe produce a dark and rich sound, even for smaller players. The superior monel valves are long lasting, responsive and ideal for faster playing. 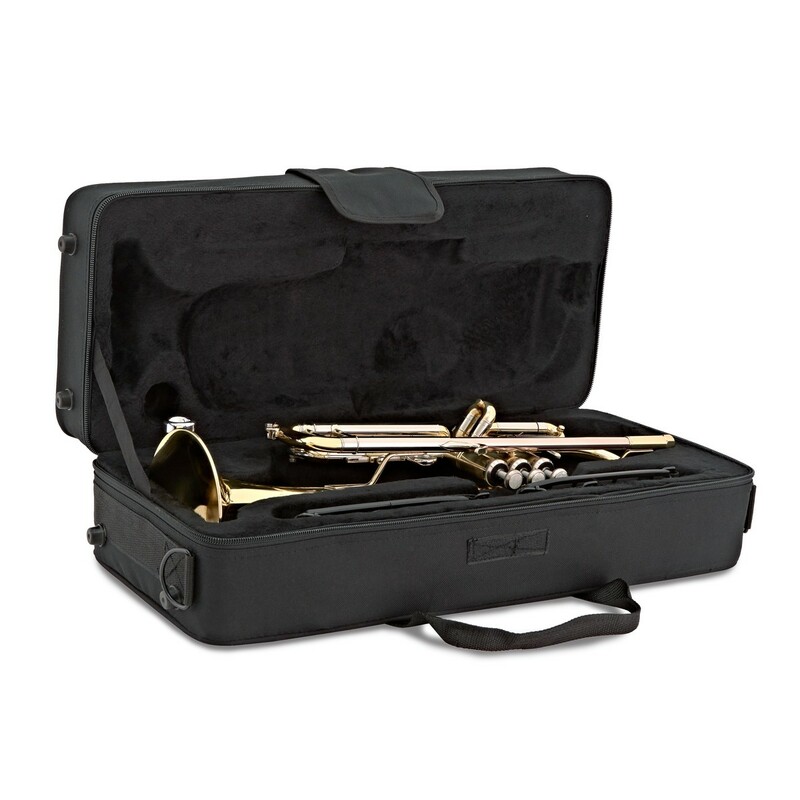 The trumpet comes with a lightweight case and mouthpiece so beginners have everything they need to start playing straight away. 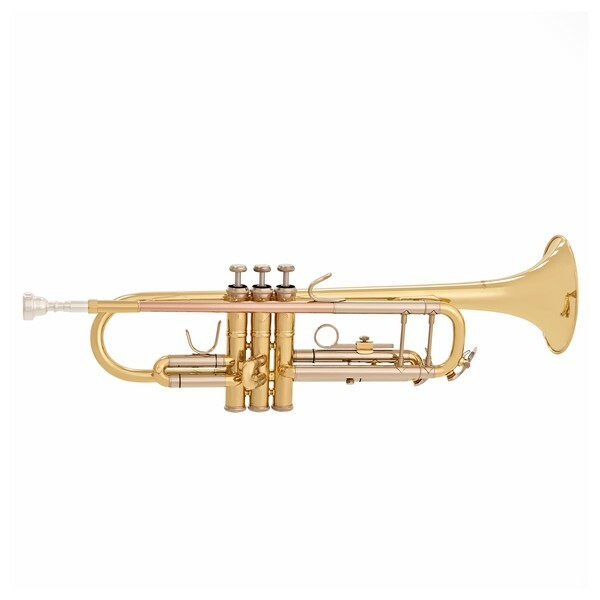 The deluxe trumpet is sturdy, long lasting and reliable. It has a Yellow Brass body finished with a clear lacquer that prevents the instrument tarnishing. The stainless steel valves have also been coated in a corrosion resistant, high-quality monel plating. As well as improving the lifespan of the instrument, this reduces friction against the casing and improves the speed - ideal for faster passages of music. 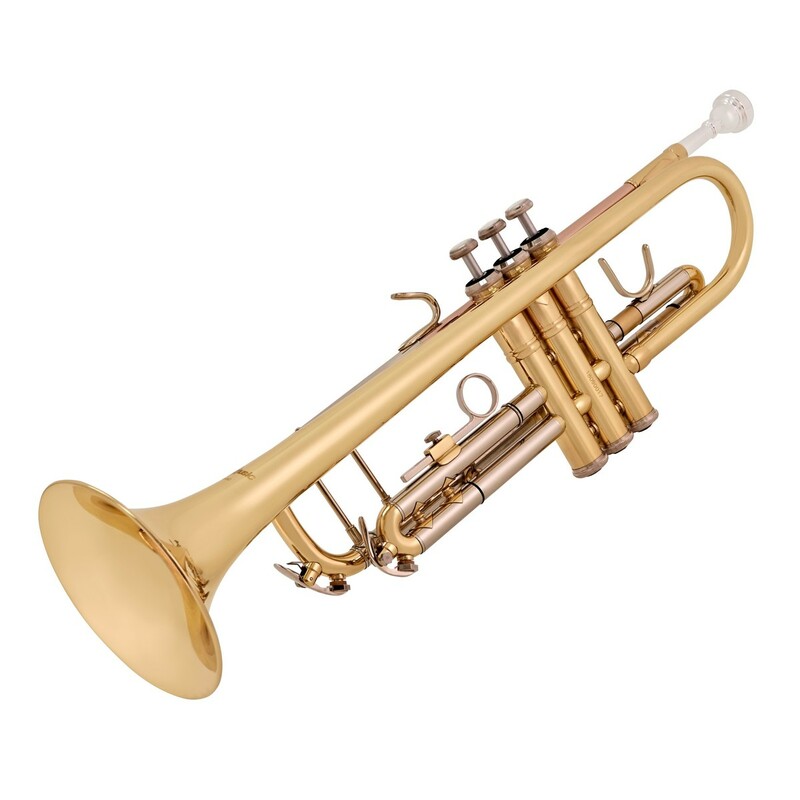 Braces on the leadpipe, bell and tuning slide greatly improve rigidity whilst heavy duty top and bottom valve caps are hard wearing and add depth to the trumpet's sound. This trumpet has a dark, rich tone. 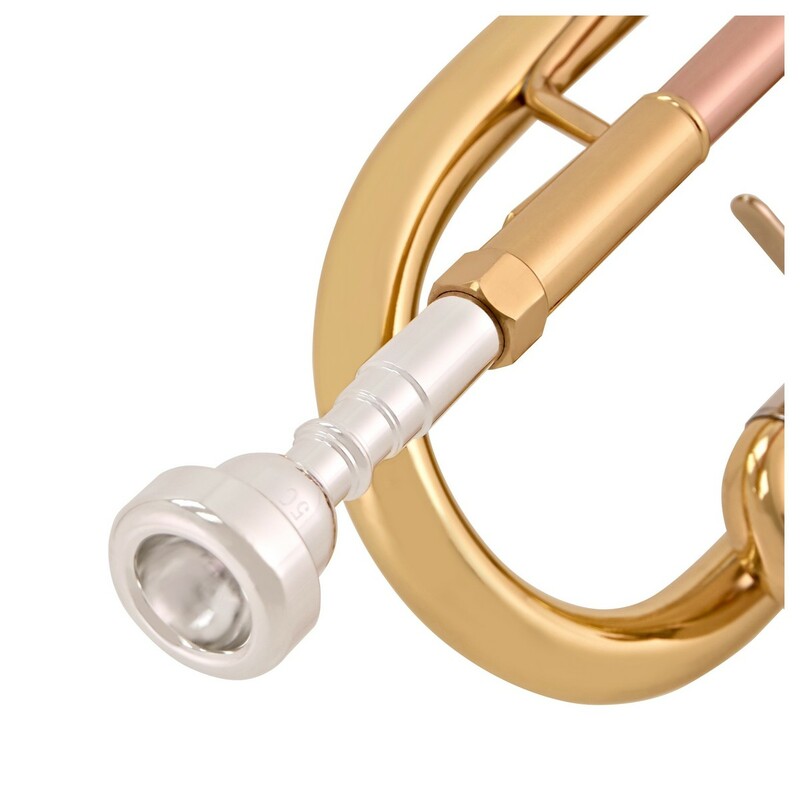 The medium-large bore, phosophor leadpipe produces a full, rich sound ideal for younger students with a smaller lung capacity. This deluxe trumpet comes with everything the beginner needs to get playing straight away. The included nickel plated mouthpiece is ideal for beginners - helping them achieve a full range of notes with minimal experience. 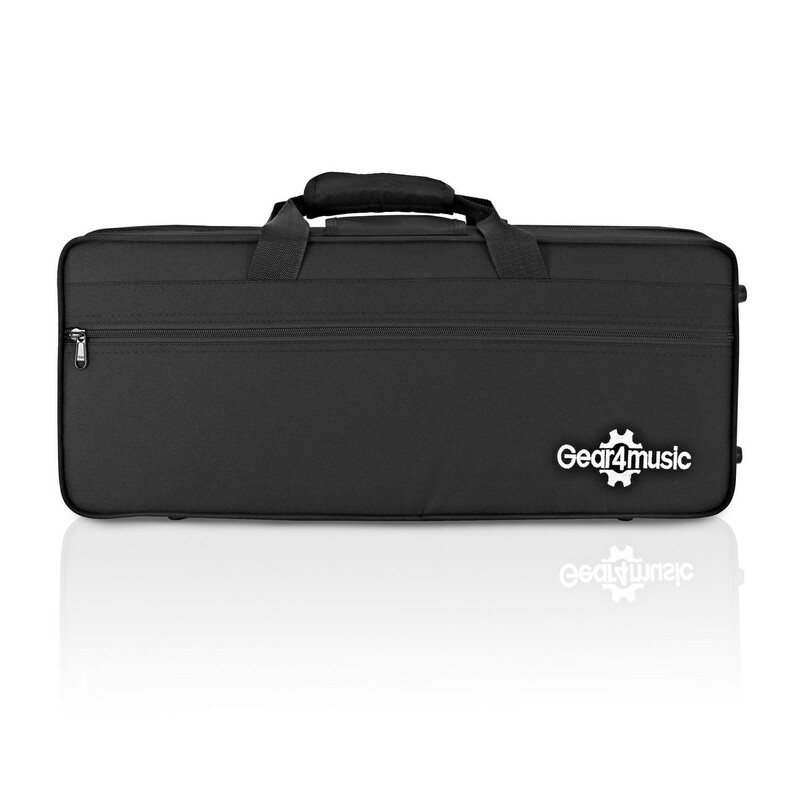 The canvas covered, hard foam case is easy to carry and provides superior protection for the instrument. A carry handle and shoulder straps mean it can be easily taken to lessons or performances. Pockets both inside and out are useful to store other accessories such as mutes and tuners. 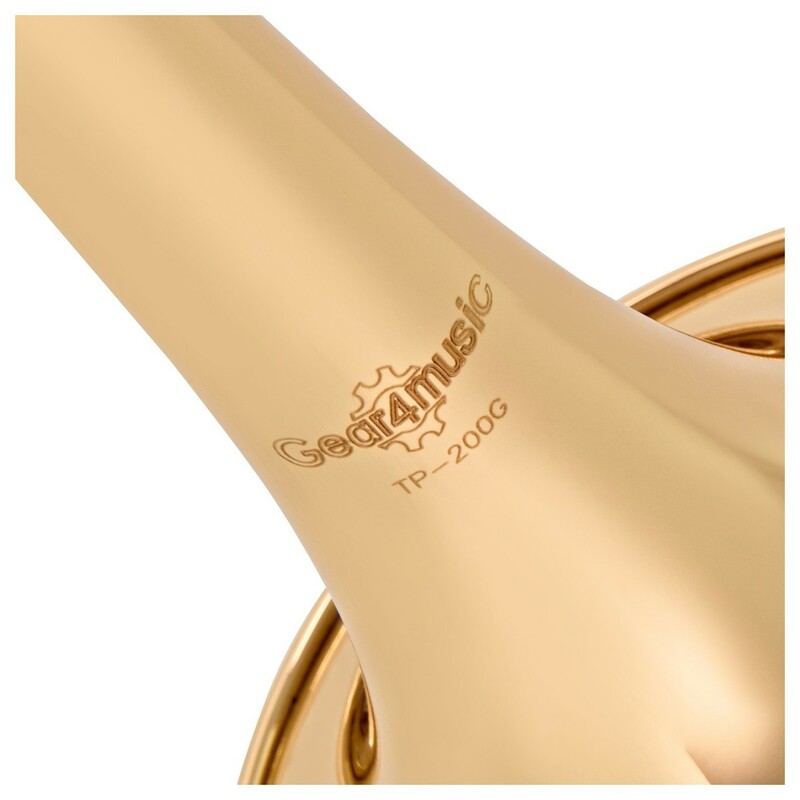 If you're just starting out or are simply looking for a more complete set-up, you may be interested in the Deluxe Trumpet Pack by Gear4music, which comes with a number of additional extras including music stand and cleaning kit.